Prado Stadium 12 is more than a state of the art movie theater with Sony 4K projectors in all our theaters, and amazing Dolby Surround Audio System. We are also a place where you can relax, enjoy hang out with your family and friends. Prado Stadium 12 is Bonita Springs only state of the art luxury movie theater. 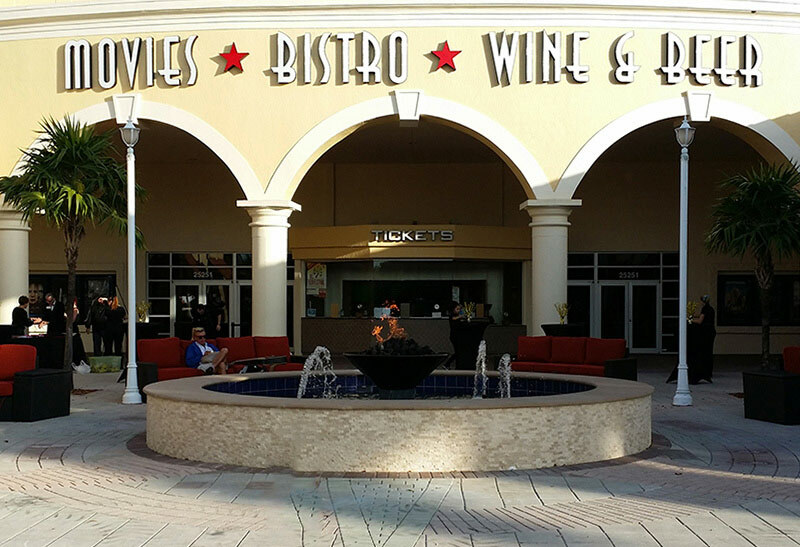 Our complex features reserved seating, electronic recliners, an upscale movie-going experience! 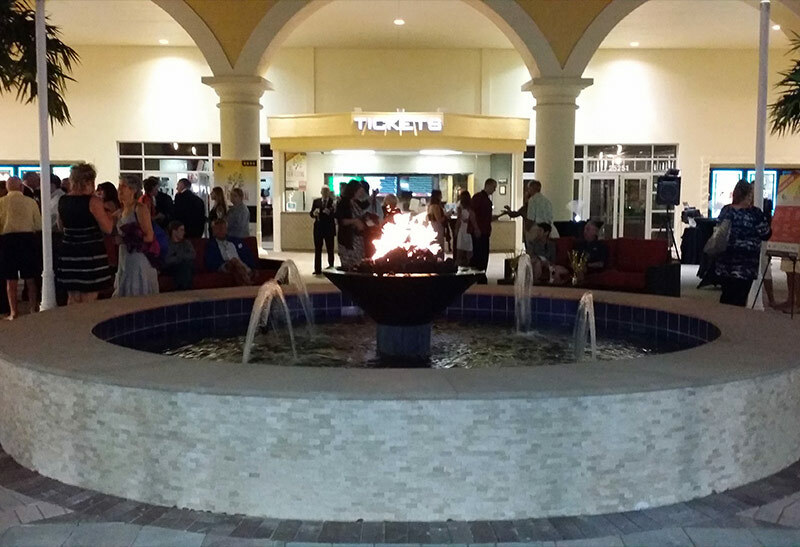 Outdoors you are welcomed to comfortable seating around our beautiful fire and water fountain before or after watching your movie. We have over 50 brands of beer and a full liquor bar. Our restaurant offers a wonderful dining experience from gourmet cheese platters to flatbread pizzas, not your normal movie theatre food!